One day a learned man was walking down the beach and noticed a little figure in the distance, moving like a dancer. As he grew closer, he saw a little girl in a pink bathing suit. She wasn’t dancing, but bending down over and over again, throwing something into the sea. YOU KNOW YOU TOO CAN MAKE A DIFFERENCE BY INCLUDING A BIT OF VOLUNTEERING ON YOUR TRIP TO TIBET. THAT'S WHY YOU'VE STOPPED BY THIS PAGE. EVEN IF YOU DROP BY ON YOUR WAY TO THE AIRPORT WITH A CASH DONATION, SHOES, TOILETRIES, BALL CAPS, SUNSCREEN LOTION, SCHOOL SUPPLIES, BAND-AIDS, ANYTHING! 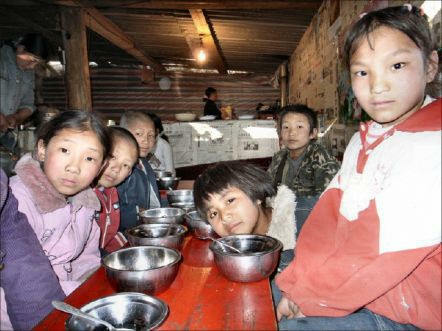 THERE ARE LOTS OF ORPHANAGES IN LOTS OF PLACES IN TIBETAN AREAS AND THE TIBET AUTONOMOUS REGION. 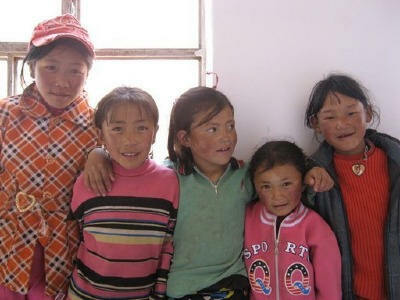 LOOK OVER THE FEW TIBETAN ORPHANAGES LISTED BELOW AND CONTACT THEM TO SEE HOW YOU CAN HELP OUT. AFTER YOU SEE THEIR LITTLE FACES LIGHT UP AT THE SMALLEST GIFT OR SERVICE, YOUR LIFE WILL NEVER BE THE SAME. Modern Tibet is developing and changing rapidly. Much of this change leaves many Tibetans without jobs and no way to support their children. Chinese own most businesses and hire mainly Chinese workers. See economy. Tourism is about the only hope Tibetans have for finding work. Most of the children living in Dickey Orphanage have been orphaned by accidents, illness, or abandoned as a result of economic hardship. It's truly heart wrenching. Yet, each child at Dickey orphanage is provided with education, medical care, and daily doses of love. Because none of the children know where or when they were born, September 10th is everyone's birthday! Would you like to come in September? It's a great season to see Tibet and an easier time to get permits. 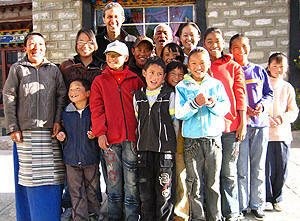 Dickey orphanage is located on the outskirts of Lhasa, run by a kind Tibetan woman, Tamdrin Dadhon, or "Mama". In September of 2002 she sold her family jewels and together with the proceeds of her meager tea house, opened the orphanage to care for local orphans and street children. "My visit to the Dickey orphanage three years ago has had the most profound effect on how I have accepted each day since. My travels have taken me far away from home, and Tibet, and yet I am drawn to that smiling face from Lhasa. And, even though I was quite “blown away" by the country and the Potala, it was the orphanage that had the greatest emotional impact on me." 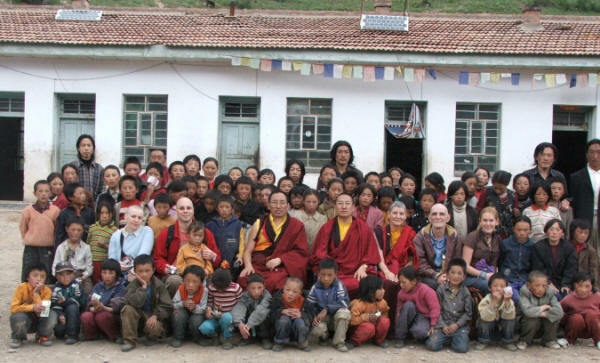 This orphanage school opened in March, 2005 in the area of town near Kumbum Monastery. The goal of this orphanage school is to help orphans and disabled children from poor families. Help also goes out to poor children from families who can’t pay the extraordinary school costs and fees. Without being in the orphanage they would not have any chance to go school and study. 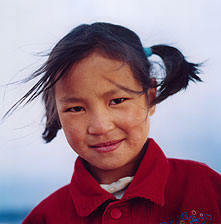 The children are from every corner of Tibetan areas, some kids from Lhasa (Nachu), Gansu and other places. 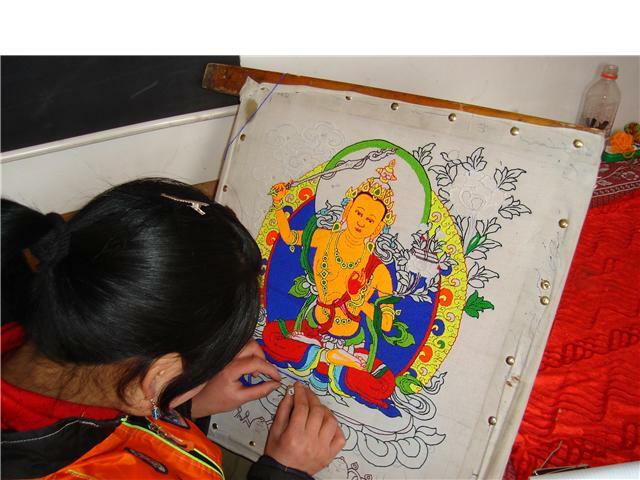 Contact the Tibetan Buddhist Culture and Art Service Center as the head of this orphanage works in this group too. The goal of Kumbum orphanage school is to give a modern education children so that they can grow up to support themselves and their families. In this school all children must not only work to support themselves by painting thankas and harvesting, but they are taught that the benefits of the orphanage life is temporary, soon they will grow and need to go out into the world to support themselves. Beyond the entrance to this school, there is not a special class room to study. There are only a few tables and chairs. To house the children the head of the orphanage, with his own money, rents a few shacks situated around a courtyard. This orphanage is far more basic and without than many others in Tibetan areas because presently they have no western volunteers or helper’s to help them. They are very happy to welcome volunteers to work with them. The children work in the fields and paint Thankgas to bring in enough for food. This orphanage is in dire need for many things, including money for teacher salaries, salary, heat in make-shift class room and dormitory in winter, a school buidling, coal and food. Needed very bad is an Art Teacher to teach how to paint Tibetan Thangkas. A salary for as Art Teacher is higher than regular teachers because there are so few of them. They have land for a building, but no money to build it. Tenzing Sangjie (boy) 12 years old from Lhasa ( Nachu County), had a car accident which crushed his head. As an orphan he stayed with his uncle but his uncle has many children and can’t help him any more. Someone introduced him to this Orphanage School. "This school gave me a second chance at life." Tsege Tso (girl), was born in Oct, 1990. She's from Qinghai. Her father died many years ago. After that her mother married someone and left her with her grandmother. After her mother came and sold their field and left her behind. She has one sister and one brother. Tupa Kyb (boy) was born in Feb, 1992. He's from Gansu. His father died and his mother married another man so Tupa stayed with his 74 year-old blind grandmother with no chance for an education until he came here. 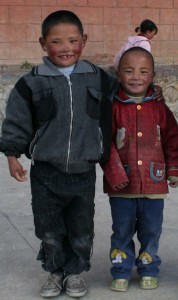 Contact Kalsang in Xining if you wish to work or help this orphanage while in Tibet. Choudon orphanage is located in one of the narrow backstreets behind the Potala Palace in Lhasa. From the street, steps lead up to a set of carved double doors set into a cement wall. When the doors open, the sound of children playing spills into the street. We step through the doors into a narrow courtyard that is literally filled with children. They are excited by the novelty of visitors, particularly Westerners, and, in the manner of children around the world, are laughing, yelling and crowding around us to get a good look at the "Ingie" (foreigners). Nyima, the director of the orphanage, introduces himself and some of the teachers. Apart from Nyima, there are 6 teachers working at Choudon. The orphanage was started 4 years ago, when Nyima lost his job as a tour guide and began to teach English to some of the children. Like a beautiful plant it grew from there! Choudon Orphanage, formerly the Choudon Preschool, was founded by Tibetan grandmother Rinzin Choudon of the Gundeling Neighborhood Committee in Chengguan District, Lhasa. It is located in the compound of the Loving Hearts Kindergarten in Ngaqen Township. After Rinzin Choudon passed away, her youngest son Nyema carried on her good work. 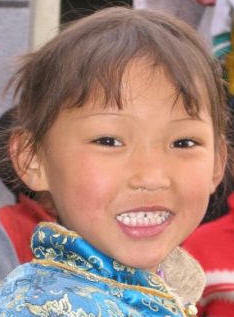 There a thousands of semi-orphans and orphans in many of the Tibetan regions of China. They are living on the very fringes of society without even a meal to eat. Their parents have died. With only rags to shelter them from the frigid temperatures of the high Tibetan Plateau, many will not live through their childhood. Since Tibetans do not all speak Chinese, some of them have no hope of finding jobs to support themselves, let alone pay for schooling. To complicate the problem, in many areas that are no schools, leave aside good or bad ones. Without food or education or training these children won't survive. They need food and shelter and warm clothing now. They need education and training in order to work to feed themselves once they are too old for orphanage care. While some people can see and do nothing to help the suffering of innocent little people, others are compelled to do something, even for just one of them. Zaduo County is located in the southwest of Yushu Tibetan Autonomous Prefecture in Qinghai Province, Peoples Republic of China, previously Tibet. It comprises the headwaters of the Mekong River. There is 1 town and 7 townships. The population of Zaduo County is 36,000, of which the majority is Tibetan. Zaduo County is entirely based on animal husbandry. Zaduo County is reputed to have some of the best caterpillar fungus in the entire Tibetan Plateau region. See warning on the blog regarding the Tibetan promoter working out of Canada. Best to contact the orphanage directly or contact Kalsang. 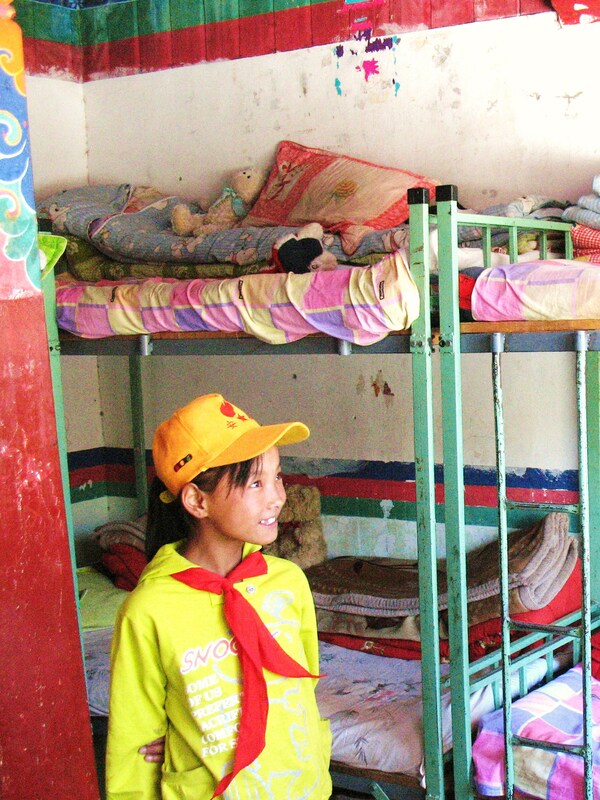 Temdol looks after 42 children in the TAR and another 32 in China's Yunnan Province. Despite being no blood relation, the children all call her their auntie. Tendol Gyalzur, a Swiss passport holder, now travels by air between her three homes. But she spends most of the time with her children in Toelung of central Tibet. Her new home, the Children's Charity Tendol Gyalzur, is a row of two-story Tibetan houses with a small garden. "I am an orphan myself and I had always thought that one day I would do something for other orphans," Tendol said, while entertaining her guests with tea and sweets in her sitting room. Tendol cannot remember her exact age or birthplace because she said she was adopted at a very young age. She moved from somewhere in Tibet, first to India, and then to Germany and finally settling in Switzerland after she got married. Decades later in 1990, she returned to Tibet for the first time. Unlike other travelers who were immediately struck by the local religion and landscape, all Tendol could see were street children. She decided to help. "There are orphans all over the world, but I am Tibetan and I wanted to help the orphans of Tibet." Tendol took her savings of US$26,000 and traveled to Tibet. She went to the Tibet Development Fund in Lhasa and told them she wanted to rent a house for an orphanage. But they told her it would be better in the long run to build a permanent home for children. They offered her free land for the project. The easy-going Tendol found a place at Toelung, about 10 kilometres southwest of Lhasa and began to build the orphanage in May 1993. When the orphanage opened on October 6, 1993, Tendol took in seven children. 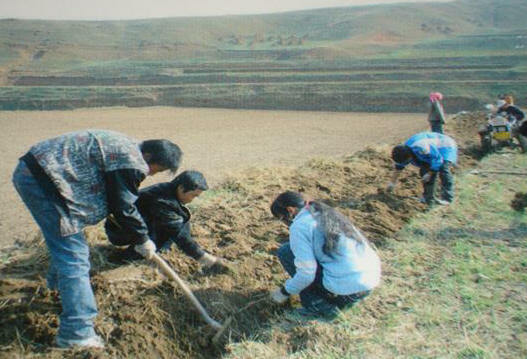 In 1997, the charity built another house in the Tibetan-populated area of Gyalthang in Yunnan Province. It was not an easy process, Tendol said, but one particular incident made her determined to succeed. One cold winter's day, she saw two children in rags begging. She took them to a restaurant but the manager refused to serve them. "I was furious and fought with him and forced him to let us in and have something to eat," she said. "From that time on, I realized that the only thing I wanted to do was to fight for the rights of these abandoned children." Her fight has won support from local people and authorities as well as friends in Austria, Germany and Switzerland. Even her husband, an electrician, has come to join her. At 61, her husband, Gyalzur Losang Tsultim, is now in charge of the orphanage at Gyalthang. It is also a Tibetan style house that provides shelter for another 32 children. The couple's own children, two grown-up sons, now work in Switzerland. Her family pictures as well as those of her other children are hung side by side on the wall of the sitting room in Toelung orphanage. There are also certificates of merit, awarded to her children by their schools, displayed on the shelves. She is happy to see that her children are doing well and wants to make sure that every one of her 74 children - 30 girls and 44 boys - in her home has every opportunity. "I want them to grow into independent people who will contribute to society," she said. "This is the responsibility of every parent." Tendol has a 29-year-old helper, Tsamchoe, in Toelung, and she calls her the "greatest woman in the world." The children call the quiet and hard-working Tsamchoe their mother. All the children in the orphanage are assigned responsibilities. The elder ones have to help the younger ones and the little ones are asked to do things such as pick up rubbish. "They learn by example," she said. Every week they must take at least three baths. "When they first came they refused to do so because they were not used to the habit. Some Tibetans believe that taking a bath would make them sick," she explained. And a boy from a pastoral background did not want to use the toilet since he was so used to the open countryside. "I told him that there were little insects that wanted him to feed them and he went. He has since changed," Tendol said with delight. She was also delighted to tell visitors that six of the 42 children in her Toelung home are now studying at middle schools in China's interior. "I am so happy that the kids are tolerant and sensitive. When I am in low spirit some of them will go and pick flowers for me," she said. "I get most satisfaction from them. This is something you cannot buy with money." The orphanage at Chodrak Monastery was founded by Khenpo Dam Cho Dawa Rinpoche, a senior teacher at Chodrak Monastery, in response to the growing numbers of young children who were orphaned or whose parents were unable to provide for them. The majority of the people of Kham province are traditionally farmers and nomads. Farmers were able to grow enough food to feed their families and a little more that could be traded for necessities such as tea. Nomads grazed yaks, sheep and goats, and raised horses that could also be traded. Most of the farmers and nomads don’t earn a cash income; rather they exchange goods as needed. The land reforms introduced by the government over the last forty years, greatly restricting grazing areas, has had a very adverse effect on the Khampas’ ability to maintain their lifestyle. The problems created by the harsh conditions in Eastern Tibet, which had historically contributed to an early mortality rate, have been compounded by government policies such as resettlement and the change from a barter to cash economy. Even those who have a chance to earn a cash income have great difficulty paying for necessities such as medical fees and often forego medical treatment for lack of money. Khenpo Dam Cho Dawa built Chodrak orphanage to provide food, accommodation and an education for children who would otherwise be forced to beg for survival in a poor and remote part of Tibet. If you would like to help Venerable Sonam Tenzin Rinpoche and Khenpo Dam Cho Dawa continue to provide for the children of Chodrak Orphanage, please email Rinpoche at jampalsonam.tenzin@gmail.com for a free copy of the DVD. 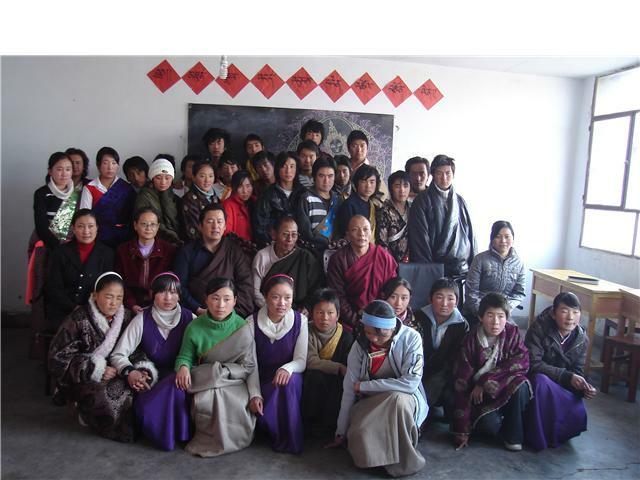 The Jatson Chumig Welfare Special School in Lhasa, Tibet, is a non-profit, charitable institution run by Tibetans for handicapped, orphaned, and destitute children of Tibet. Since our founding in 1993, the school has been providing these children with a supportive, nurturing home (housing, food and clothes) and a basic education of six years. We also provide vocational job training, as well as entrance into middle school, high school and the university. It is our goal to give these children a future where there otherwise would not be one. Jatson Chumig Welfare Special School has won awards for being "the most successful educational/orphanage program in Tibet" yet needs your financial support in being able to remain a success. This orphanage was founded by a Tibetan who returned to his hometown in Golok (Amdo) after studying English for a few years in India. Golok is in a remote area officially recognized as being one of the poorest areas in Tibet. There are 62 orphans in the school. If you are going to Golob, please contact this orphanage and send us their contact info. Thanks! "All over this world, Tibet is known as the pureland where dharma and secular affairs are one. Happier than the divine realms, more glorious and satisfying than the naga realm, joyful like an expanding summer lake. Everyone has come to know (of Tibet) in this way. However, due to the power of various outer and inner circumstances, education here has now fallen behind. Attendance of children at school is sparse, especially that of children from poor families, and orphans are unable to attend school. Not only that, there are many people in the population who are illiterate. Due to reasons such as these, the prosperity, politics, and culture of this region have all been greatly impacted. If things continue in this way, there is a very great danger that this culture will disappear altogether. Therefore, in order to restore culture, to advance the socio-economic and academic situation, to ensure that there will be many learned and intelligent people in Tibet's future, and especially in order to create a new happiness for children from poor families and children with no parents, the pure minded, altruistic, Choktrul Thubten Norbu Rinpoche, and myself Jigmed Kunzang Gyaltsen, with the permission of the government, have completed the building of a school that will protect nomad children, especially orphans and children from poor families. Due to the poverty in this land, the condition of the schools have become extremely poor. Even if one only only gives one cent, that donation will definitely go to use. I am requesting from the bottom of my heart that those who are endowed with love and compassion please help in any way they can. " Some volunteers have already traveled to Tibet and stayed for extended periods of time at Sengdruk Taktse School. Volunteering can also be in the form of grant writing, public outreach, networking, fundraising, and web design etc… We love to hear from enthusiastic people who may have ideas about how to help. If you would like to volunteer, please contact us and we will get back to you as soon as possible. 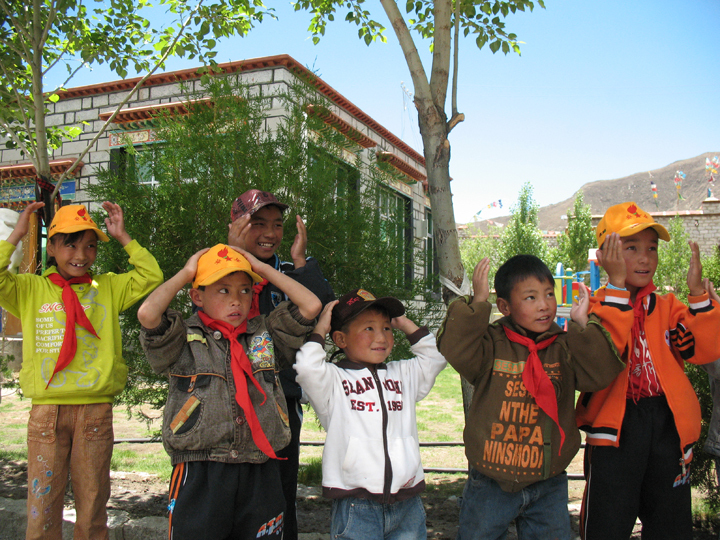 Chu Shuul orphanage is located on the road from the Lhasa airport to the city. The orphanage is run by an elderly couple, and is somewhat subsidized by the Chinese government. Being in a rural area it has more space and better facilities. The children have classes on campus and the older children go to the local school. Their bathing and toilet facilities are quite substandard. Generally half the cost of schooling is carried by the government, because the kids are orphan. But they are expected to raise the other half by themselves. One year for a child at the present state of the economy in China costs as follows: $150 for school fees; $150 for food; $100 for clothes; and $100 for books, school supplies and medicines like vitamins or a total of $500 per year. In 1998 Peggy raised $30,000 to help the very poor village of Chushul build an orphanage. The local government provided the land, the community in the Chushul Valley provided the labor and the nearby monastery loaned their truck. With the help of the Tibet Fund, the money was wired in April and the locals went to work. By August, the initial building was completed - a beautiful two-story home with hand-painted beams and bunk beds to the ceiling. It included a classroom with a library full of books. It is now home for 26 children, including those who are in higher studies outside. The hope is to reach the capacity of 30 children in-house by the end of 2009. In the last ten years, with the financial help of sponsors and on-site support of others, the orphanage has evolved to its present state. A greenhouse, a new kitchen/family room, a playground and a fence to enclose the property have all been added. Now, we have this important project for 2009. We will be building a proper bathroom with several showers, toilets and sinks, an important step forward towards providing and teaching hygiene. The orphanage in the Waka village was opened in September 2004 with 25 selected children. Now Dorjee is in charge of everything regarding to the children and their study. The Waka Orphanage School was established in September 2004. Its objective is to take care of Tibetan orphans or children from poor single parent families and sponsor them to go to school. We put strong emphasis on learning of Tibetan culture, history and language. Children live together in the housing provided and attend the same school. We provide all things that are necessary for them to live and stay at school. The children are from Ganzi Tibetan Autonomous Prefecture of Sichuan Province (Kham, or Eastern part of Tibet). Currently we have 30 students: 12 orphans and 18 from very poor single parent families. The children are from 7 to 13 years old and are chosen from the poorest families in the Kham area with the help of a local government officer. Most of them never go to school before, and some went to school for very short time. You are welcome to visit and stay, play with the kids or explore areas surrounding Waka. Please note that the school is closed in July and August. Many people have written to ask us about adopting a Tibetan child from one of the many Tibetan orphanages in the TAR or other parts of "Tibetan" China. In trying to get answers, they all seem to lead to one very sad answer. 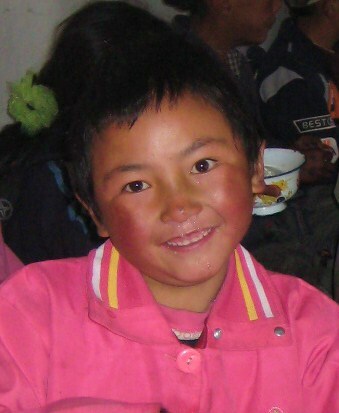 Although claims are made that there are no Tibetan orphans, or that they are all been cared for just fine. With research, it seems Tibetan's are not considered Chinese citizens (at least not at universities) and without citizenship, Tibetan children cannot be adopted out as Chinese orphans either. With so many destitute Tibetans unable to find work, it seems China would be happy to find good homes anywhere in the world for these undernourished young people who have little hope of any reliable future. But here's the tangled problems. First of all, there are usually two basic steps involved in any international adoption by U.S. citizens and it's likely the same for other countries. The first is the actual adoption. The second is the acquisition of an adoption visa for the child so that the child could enter the country legally. It's not like you can swim over the border with the child! Thus, a child must be adopted under the laws of his/her country of citizenship. Hummm, what happens when there is no legal citizenship? The other option is for the child to be placed with a family under a decree of guardianship from the child's country of citizenship for adoption in the U.S. The Tibetan child living in Dharamsala is not a citizen of India, since she/he is a refugee from another country; thus, she/he could not be adopted or placed with a guardian for adoption in the U.S. under Indian law. Apparently exceptions can be made. See Richard Gere's story below. If the child is considered a Chinese citizen (and the Chinese consider Tibet to be part of China, even if many Tibetans do not), she must be adopted under Chinese law. However, if Tibetans are being turned away from university for not being a Chinese citizen (even with full payment in hand) it becomes questionable if Tibetans have a right to any citizenship anywhere. apparently, Chinese law would make adoption of a Tibetan child fairly impossible. All referrals of children to foreigners must be made by the China Center for Adoption Affairs, a branch of the Chinese government. But in 2008 China announced they would no longer adopt out Chinese children to foreigners, having enough Chinese willing to take in the orphaned. The only exception would be in the case of a child that is in China's "special needs" program. In that case, a few U.S. agencies are permitted by the CCAA to show information on selected special needs children to American families. The children's dossiers must be given to the agencies by the CCAA. If a family expresses an interest in a particular child, the agency would send the family's dossier to China, which would formally make the referral. Special needs can be children with extreme medical issues, deformed, brain damaged, etc. These, it appears, China is willing to let go. It is not clear what can be done in the case of stateless children, which the Tibetan child might be considered. Since many Tibetans recognize only a "government in exile", there would not appear to be a legal authority in Tibet that could legitimately agree to their adoption. Until the international community pressures China into allowing Tibet areas to be governed by Tibet citizens or until China gives citizenship to Tibetan children and allows adoption, it appears most orphans will be raised in orphanages in very dire circumstances. Without independent foreign aid, these children suffer greatly. If you chose to adopt a "special needs" child from China (likely not a Tibetan child), you would have to work through a licensed U.S. agency, which would have to submit your paperwork to the China Center for Adoption Affairs (CCAA), which would choose a child for you from one of its orphanages. more on the children's dilemma. The U.S. will not grant an adoption visa to any child who has not been either: a) legitimately adopted under the laws of his/her country of citizenship, or b) placed under the guardianship of a family by the country of his/her citizenship, with the understanding that he/she will be adopted in the U.S. It might be possible to obtain some other sort of visa that would allow you to bring a child to the U.S. for medical care or for education. Contact a reputable immigration attorney in the U.S. to explore alternatives. Richard Gere and his new bride Carey Lowell are to adopt Tibetan orphan twins to complete their family. The newlyweds, already have two children – Homer, two, and Hannah, 12, who is former Bond girl Lowell's daughter from a previous marriage, and now they plan to add to their brood. Richard Gere has been a practicing Buddhist for decades, first in Zen and then in Tibetan Buddhism. He has frequently met with, and been taught by, the Dalai Lama. Gere is so serious about his latest plans for fatherhood he has even sought advice from the Dalai Lama, according to American tabloid GLOBE. A pal says, "Richard is thrilled at the prospect of adopting two needy Tibetan children."